Jelena joined the lab as a Postdoctoral Associate in 2017 after completing her PhD at the University of Oklahoma, where she studied ant ecology with Mike Kaspari. Jelena’s current research explores the effects of thermal extremes on ant behavior in Panama. 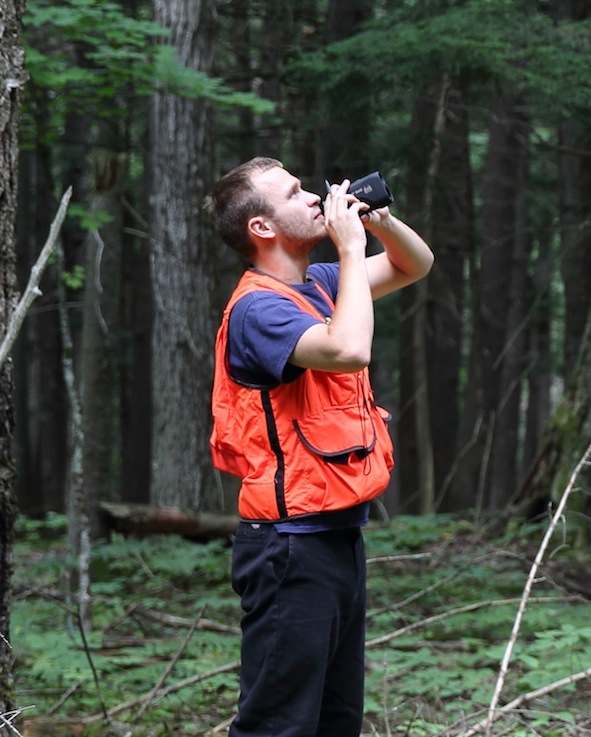 Evan was trained in forest ecology as an undergraduate in Walt Carson’s lab at the University of Pittsburgh and completed his PhD at UofL in 2018. His graduate research focused on the ecology of wood decomposition in Panama, and his postdoctoral research focuses on the ecological effects of lightning in tropical forests. Daniella started her PhD program in the lab in 2016. She received her BS from Brown University in 2012, where she conducted independent research on the evolutionary relevance of spines on ants. Her doctoral research focuses on relationships between neuroanatomy and the behavior of tropical ants. Rachel joined the lab as a PhD student in 2016 after completing her BA in Biology at Hendrix College. Her doctoral research explores the chemical ecology of tropical ant pheromones, specifically the ecological consequences of eavesdropping on alarm signals and the odor plumes produced by Azteca spp. nests. Benjamin “Max” Adams – PhD 2018 – Max joined the lab as a PhD student in 2013 after completing his MS in Linda Hooper-Bui’s lab at Louisiana State University. His dissertation research explored how lianas shape canopy ant species richness. Max is currently a postdoc at the Natural History Museum of Los Angeles County. Dr. Alyssa Stark – Alyssa joined the lab as a Postdoctoral Associate in 2014 after completing her PhD at the University of Akron, where she studied the adhesive properties of gecko toes. She is currently on the faculty at Villanova University.